This Utility House has been facing a challenge of weight restrains as originally it was not planned to include Green Roof which will serve also as a venue place. 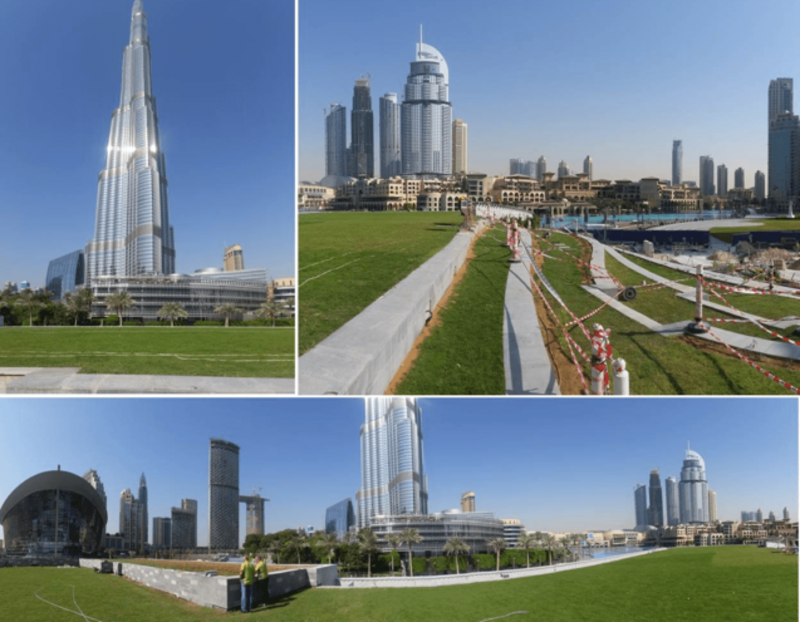 The traditional green roofs installed in Dubai are always extremely heavy as they use between 30 – 50 cm of local sweet soil which brings the weight up to 750 kg / m2. With local team we have developed a semi-intensive green roof system which allows better plant growth than traditional green roofs. Utilizing 2 -4 cm thick Urbanscape green roll allowed us to use only up to 10 cm of local soil on top which consequently opened an opportunity to do the installation on this roof and not compromising the structure stability. 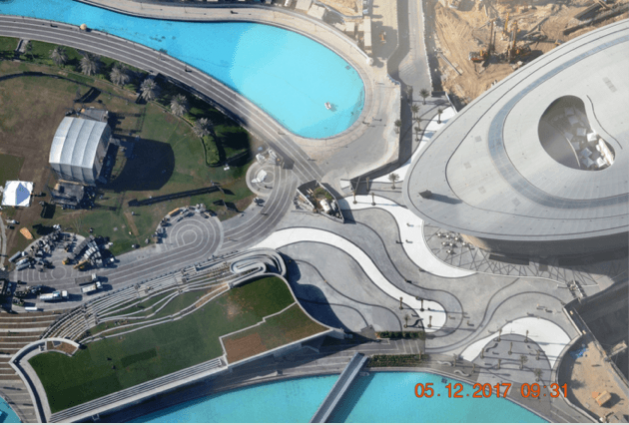 The provided system has lowered the weight of the green roof to less than 150 kg/m2 but at the same time also reducing the irrigation needs for up to 50%. 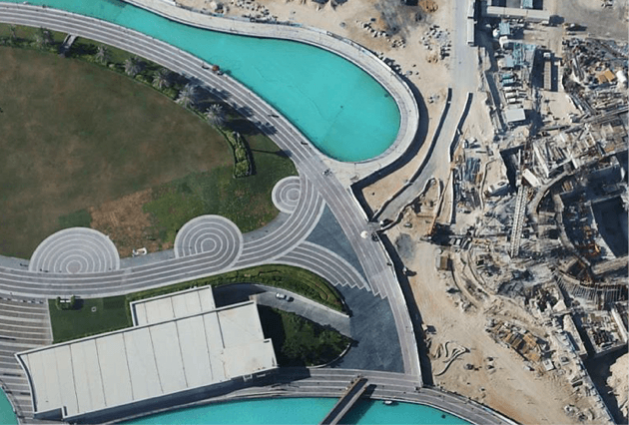 The entire design has been redesigned to actually become a venue place where people can meet and enjoy the views over the Dubai Music Fountain.